I’m beginning to think that Chicago was the gym attire capital of the US, as I’ve found another company that was located in that city. 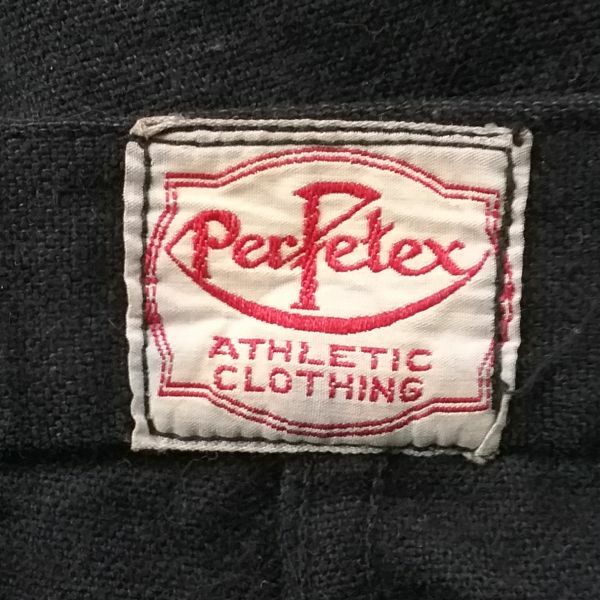 I knew about Perfetex because I have a pair of wool exercise bloomers with that label. It made me happy when earlier this week I located a catalog from the company. 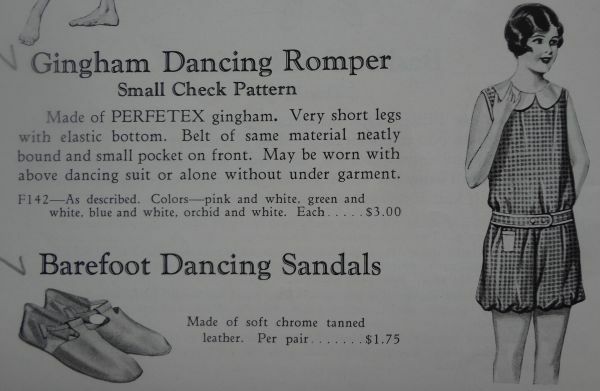 I bought it because I hoped to find my bloomers included (more about that later) but I found the catalog to be really interesting beyond my own collection. 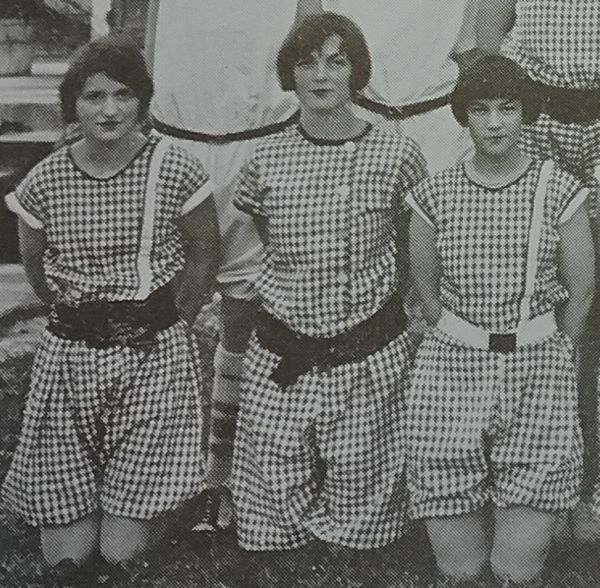 In 1929, big changes where coming to women’s clothing. It wasn’t as sudden as history books sometimes make it seem, as there were hints that skirts were going to get longer, and clothing was going to be cut closer to the body. 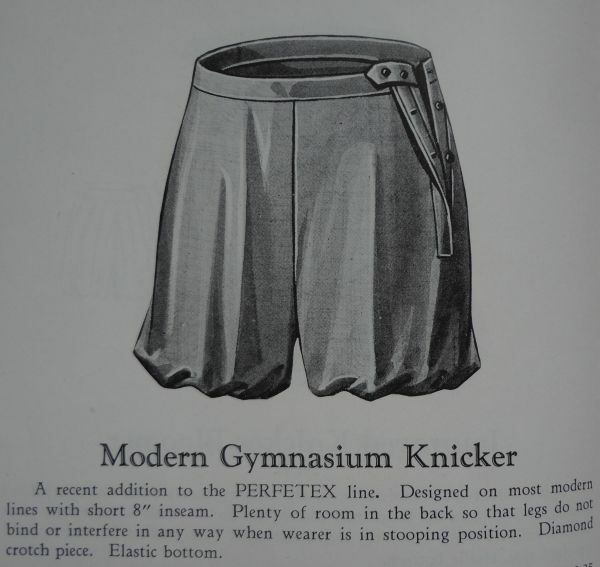 As for gym wear, for decades the bloomer had been the pants that girls and women wore for athletics. 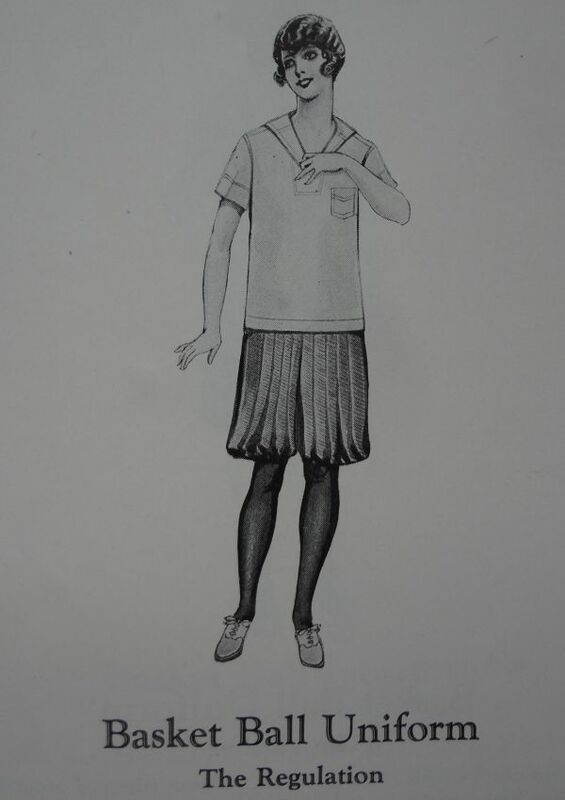 Above you can see the classic combination of middy blouse and baggy bloomers. 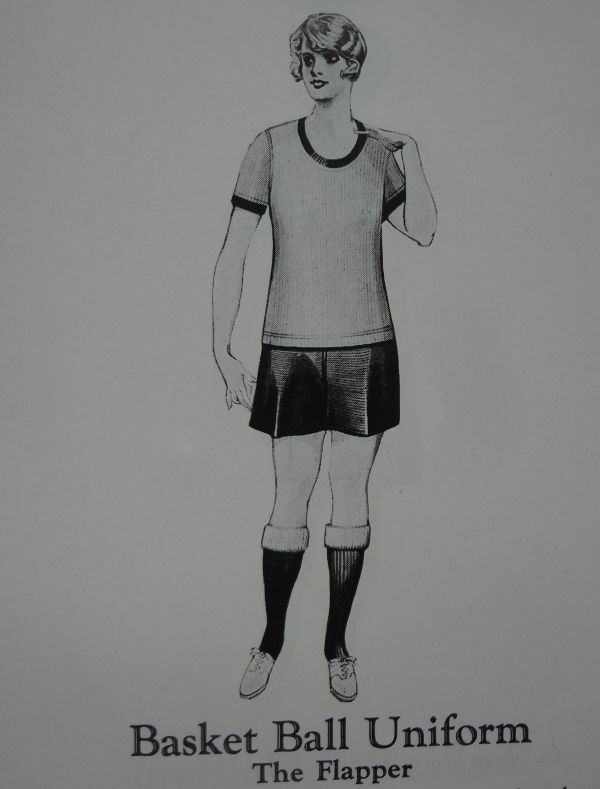 The middy has short sleeves, and the bloomers are above the knee, but otherwise this is pretty much the same gym attire girls had been wearing for fifteen years. 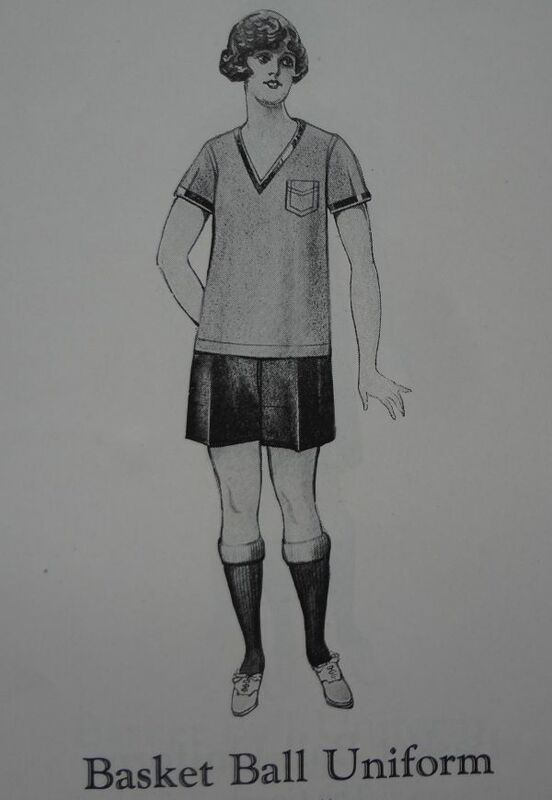 But in 1929 the bloomer was slowly being replaced by shorts. 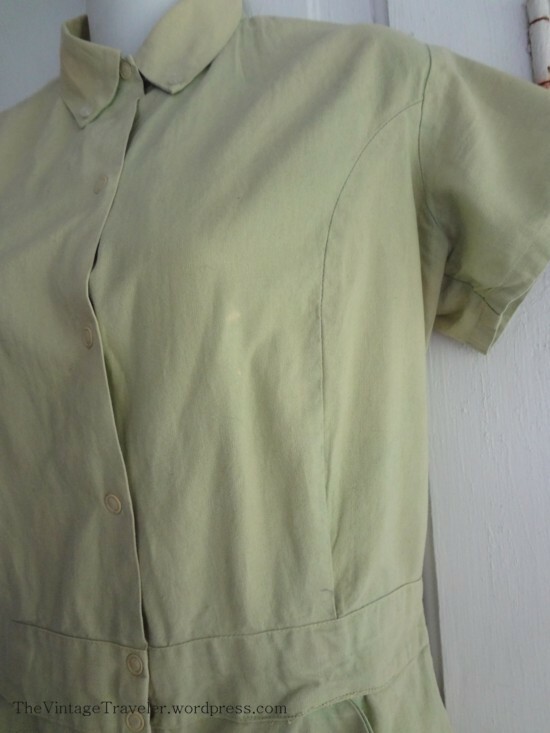 In the outfit above, the blouse is still made of middy twill fabric, it has the pocket, and the V-neck. But gone is the flapping collar. Taking it a stop further, here we see the shorts paired with a tee shirt made from jersey knit, which was available in either cotton or wool. 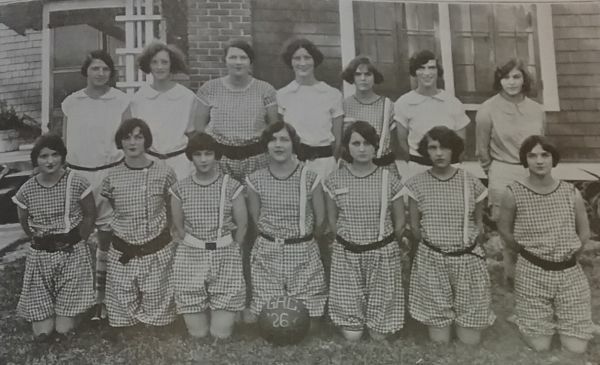 Before long girls and women were wearing shorts for more than just basketball. The middy was still pretty much the top of choice for gym. 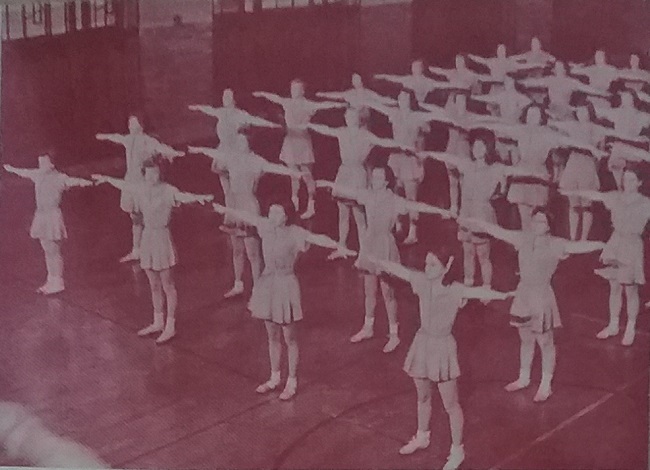 But it is interesting how in just a few years it would be pretty much gone, replaced by a gymsuit that was a blouse and shorts combination. 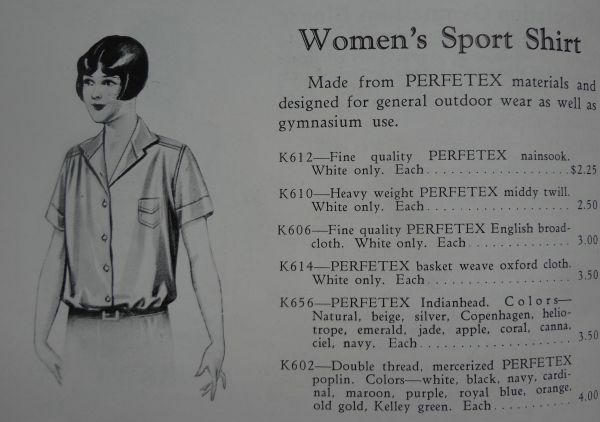 Prefetex was even selling a similar blouse in 1929. Just add the shorts and you have the new standard that replaced the middy and bloomers. 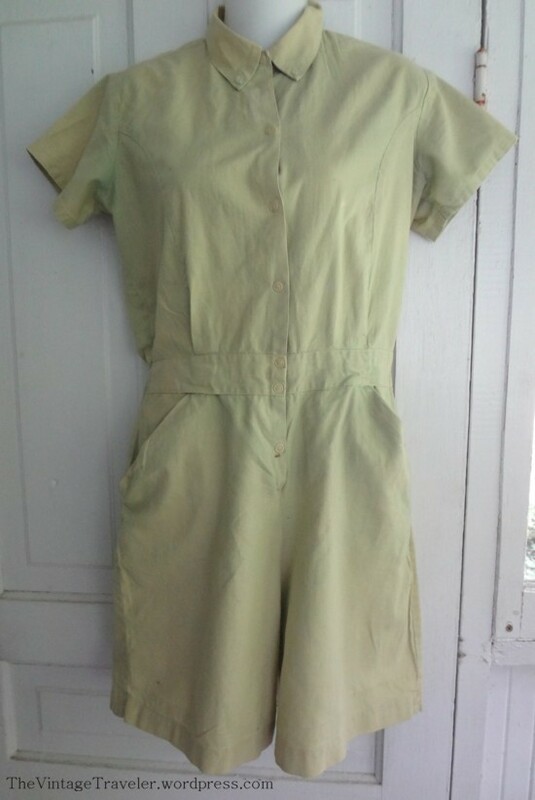 A while back I posted about a 1920s romper in my collection that is very similar to this one. It’s always good to find items documented with firm dating. I’m doing a groan about the Barefoot Dancing Sandals though. I saw a pair of these somewhere online (probably eBay) described as bathing sandals, which I knew they were not. So I didn’t bid, and didn’t even bookmark the auction. Not good. Now I need them. Badly. But getting back to my knickers, I am pretty sure that these are the ones I have. They are described as modern because so much of the fullness has been eliminated and they are shorter than the other knickers offered. I am truly sorry about my sorry photos of these. I promise to take more time and do a better job. I hope you can tell that these are the same style. 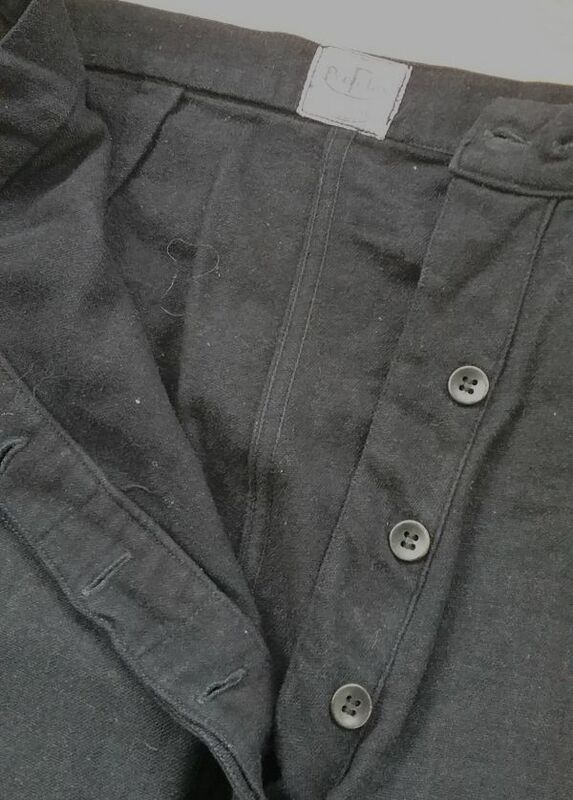 Here’s the side opening with a placket covering the buttons. 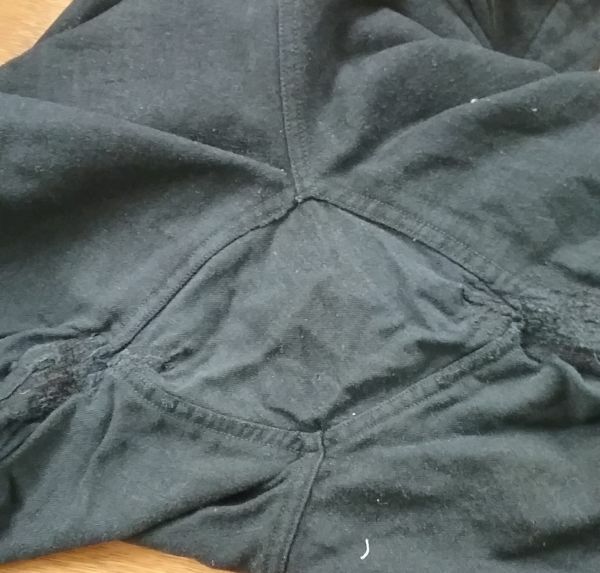 The ad copy mentions a “diamond crotch piece.” I’d call it a gusset, and the purpose was to make the fabric “give” more in the area to reduce stress to the fabric. Note the mends on both sides of the diamond. it didn’t work. 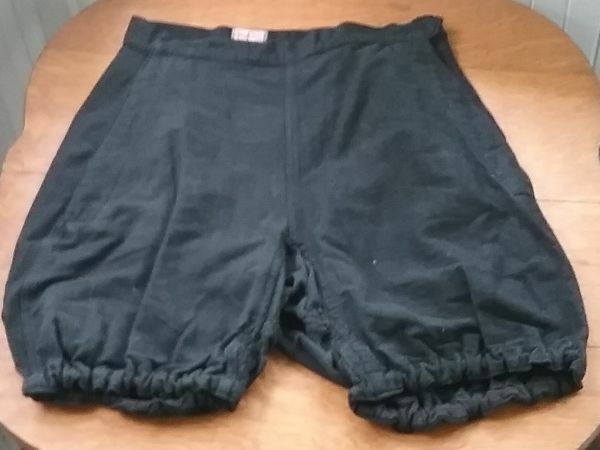 To me, a lot of the fun of collecting comes from being able to identify garments like this pair of lowly bloomers. Simple pleasures! Last week I got to take in the big Liberty, NC Antiques Fair. Actually it is more like a big flea market where most of the stuff is old. It’s usually not the best place to find clothes because it is outside and some dealers don’t like to exhibit clothing out in the weather, but I have found some fabulous things there over the years. The first booth I came to had the dealers still pulling bins of textiles off their truck. There must have been over a dozen big plastic binds full of clothing and linens from the past 125 years. 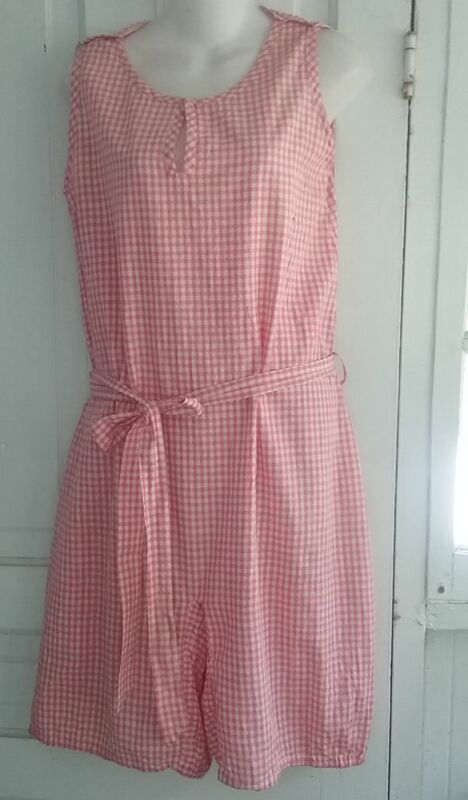 According to the seller they cleaned out the clothing from an estate and this was everything in the house. There was no rhyme or reason to the packing of the bins. 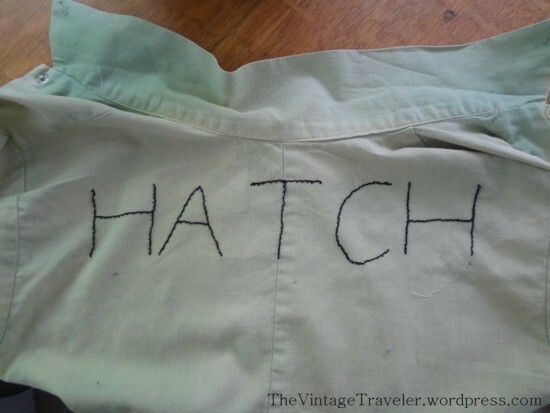 You might have one with Victorian underwear and 1940s kids’ clothes together. So I settled in to go through all the bins, and I was rewarded with some really interesting items. 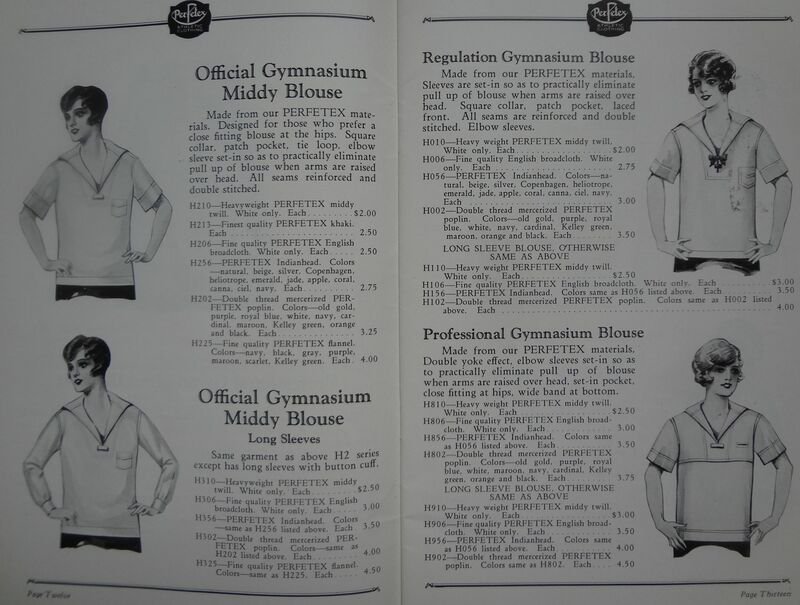 One was this shirt from sportswear maker, A.G. Spalding. It looks a bit odd, kind of like a shirt with legs. I knew I’d seen a similar one in an ad in a 1929 EveryGirl’s magazine. As you can see, in this ad from Man O’ War, it was called a ted shirt, which I assume is a cross between a teddy and a shirt. Even though it is shown without a bottom in the ad, I assume it would be worn with bloomers. 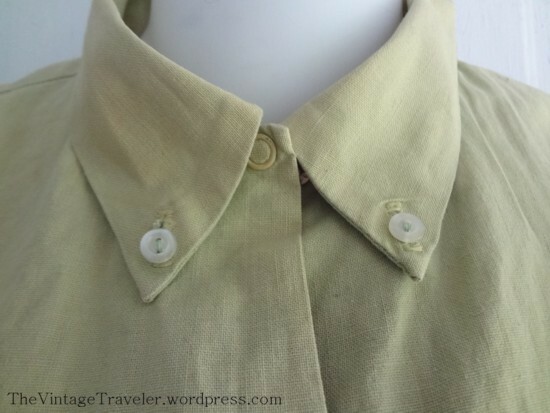 I think this ted shirt is also from the late 1920s, with the popular round collar that is also seen on dresses from this era. 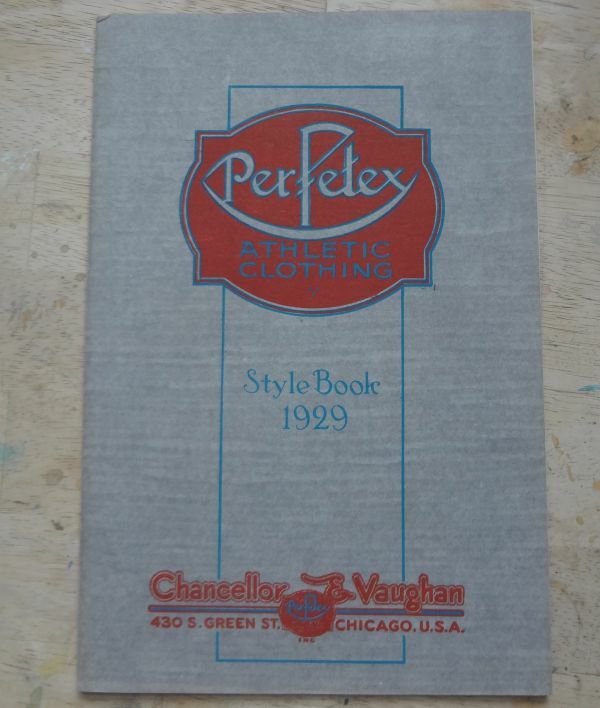 Also, the label is very similar to another Spalding suit from the late Twenties that I have in my collection. 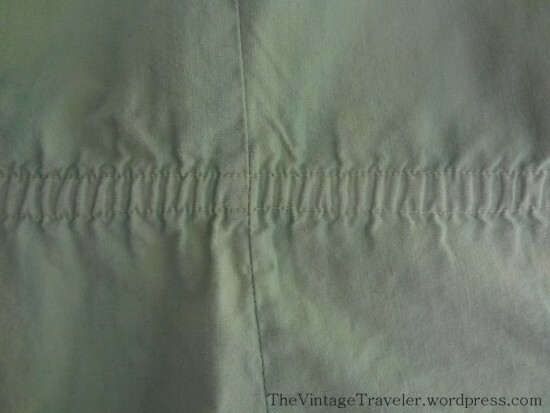 Note how the top of the opening is shaped like a V and fastens beneath the collar. 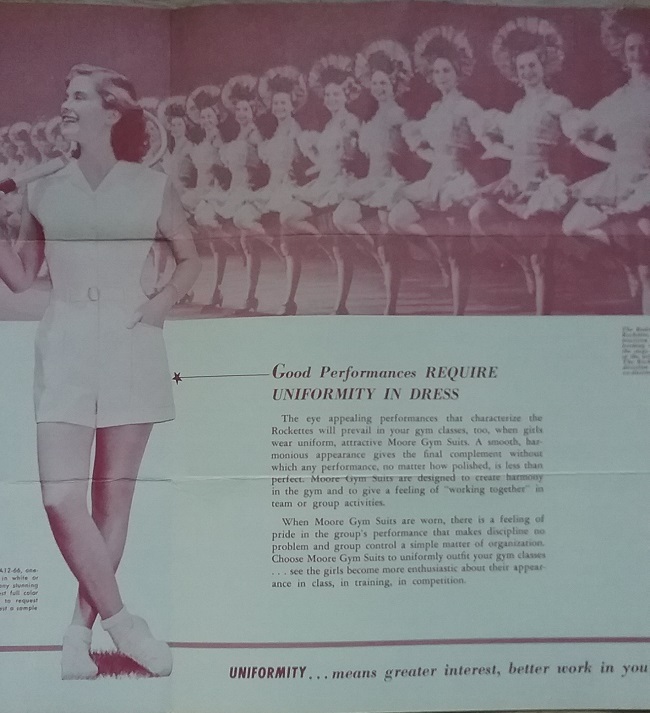 As in the ad, there are curved shirt tails. It looks like the purpose of the ted shirt was to keep the tails of it neatly tucked inside the bloomers, rather like the bodysuit of the 1970s. I’ll be sharing some of the other great sportswear I got from this dealer in the coming days. I think it is pretty incredible that any vintage gymsuit exists. Talk to almost any woman who had to wear one and you’ll get a long list of what was wrong with the garment, starting with unflattering and ending with hideous. 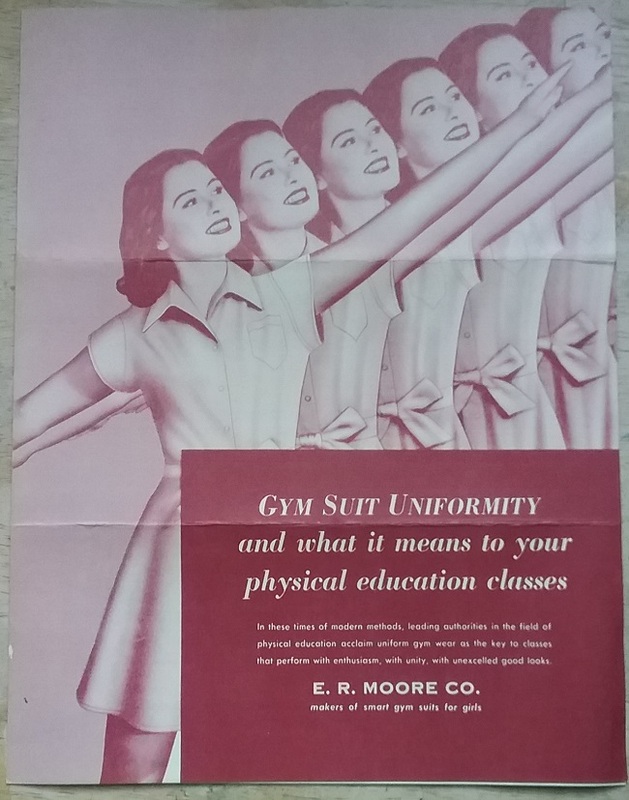 It seems to be a universally held memory by women over a certain age that the gymsuit was invented to lower self-esteem and inflict psychological pain. One would think that on the last day of high school gym class there would have been mass ritual burnings of the garment. Why would anyone keep such a hated thing? To be honest, I can’t remember what happened to mine. I graduated high school just as my sister started junior high, so it is possible that my mother made her wear it. Not that there could have been much life left in it after I’d been abusing it for six years. That’s right; I wore the same gymsuit for the entire six years of secondary school. This was back in the day when mothers bought clothes a bit big so the child would “grow into” them. Not that I grew much after age twelve. But people did for one reason or another keep their old gymsuits. I have fourteen of them, the oldest dating to around 1865 – 1870. But until recently I did not have one that was similar to the one I wore in the late 1960s and early 70s. Above you can see the latest addition to my little collection. Gymsuits can be hard to date, as the styles tended to be used over a long period of time. I was still wearing in 1973 the suit my parents bought in 1968. And it was really similar to ones I’ve seen from the 1940s and 50s. But there are a few things that told me this one was newer. 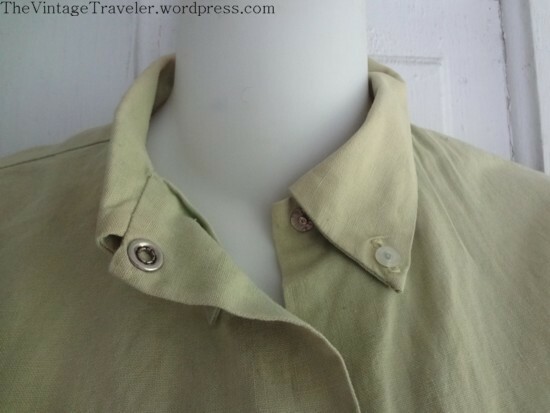 The button-down collar was the first hint. 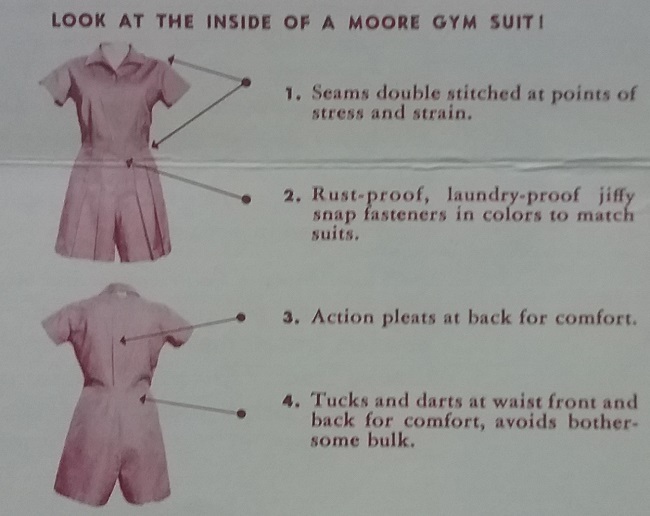 According to a 1962 Moore Gymwear catalog I have, a style that was introduced the previous year was very popular partly due to “a sophisticated Ivy League, button-down collar.” This suit was called the “Matadora”, and it is almost identical to my latest gymsuit even though mine was made by Champion. In fact, my suit has every single one of the features shown in the diagram. “Princess Styling – Long Lines for Comfort” and “Tucks for Form Fit” This suit has it all! As I said, this suit was made by Champion. The RN number is another big help in dating. The labeling law changed in 1959, and it is known that the first number under the new law was 13670. Since my number is 26094, I know the number was issued after 1959. There is an RN number database, but it is of limited use. 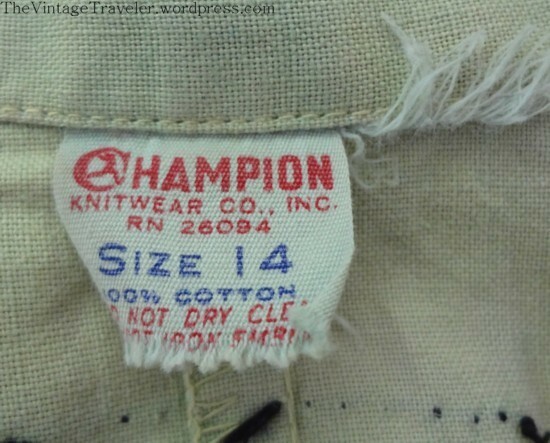 For example, this number is now owned by Hanesbrands, which owns Champion. I’m sure that this gymsuit was once white and that it has been dyed. You can’t really tell in my photo, but the label is also green. And the color is terribly uneven. I love it when the original owner’s name is embroidered on the gymsuit, but I am so grateful my teachers did not have us do this. It would have severely limited our ability to borrow a suit from a neat friend on inspection day! These come up for sale quite often on ebay and etsy, but I don’t know of anyone other than myself who collects them. 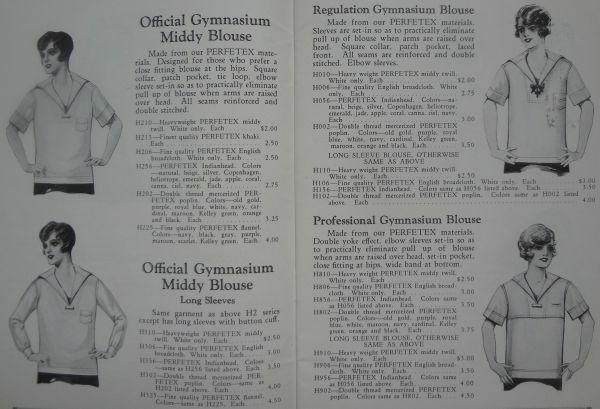 They aren’t really “fashion”, but they are an important part of the shared history of women who came of age before the gymsuit was finally eliminated by most schools in the 1980s.